English fiction writing and publishing in India are today witnessing an explosion. There is apparently a surfeit of new ‘talent’ coming out into the open every day. This is peculiar to the English language because there is seemingly no corresponding boom in writing in the vernacular languages (1) although they are not doing badly. The boom in writing has apparently been facilitated by the blogging revolution, which has had the effect of promoting self-publishing. But this still does not account for the popularity of fiction as a favored form, because blogs are more often vehicles for opinion than for exhibiting fiction. One pronounced characteristic of Indian novels in English is the lower level of literary categorization. To explain, there is no highbrow, lowbrow or middle-brow writing in Indian English - as there is in the vernacular languages - and most writers produce what are loosely called ‘literary novels’. There are not even any English language magazines (rather than literary journals) in which people might publish ‘pulp’ or ‘trash’ in English for idle reading. Magazines from the vernacular press – sold widely in news stands – routinely include short fiction and serialized novels. But this is not true of writing in English. Secondly, there is also very little generic differentiation. The assertion that there is only a small amount of genre fiction in the English language needs explanation. Readers will be quick to point out the arrival of genres like ‘chick lit’ and the graphic novel. ‘Chick lit’ is a term used to denote genre fiction within women's fiction. It is written and meant for young women – especially those who are single and working – usually in their twenties and thirties. One of the more famous examples of ‘chick lit’ from the West is Bridget Jones’ Diary (1998) written by Helen Fielding who was a professional television journalist before she became a novelist. This novel – with a plot loosely based on Pride and Prejudice – deals with the romantic attachments of a woman around thirty. It has a character named Mark Darcy after Jane Austen’s hero. The novel is generic in the sense that it was conceived on the basis of a literary formula, (2) rather than as a disguised reworking of personal experience. In contrast Indian chick lit draws much more from the lives of the authors and the writing is less dependent on a formula. 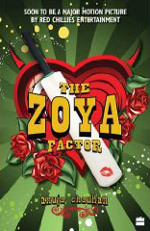 For instance, Anuja Chauhan’s The Zoya Factor (2008) is about a 27-year old professional working in the advertising sector and the author herself is an advertising professional - although a decade older than her heroine. Another author, Meenakshi Madhavan Reddy, maintained a blog called The Compulsive Confessor through which she attained some notoriety for being forthright about her own sexual adventures. She followed this up with a novel called You Are Here (2009) described as ‘semi-autobiographical’ (3). The graphic novel may appear a different proposition but the situation is nonetheless comparable. 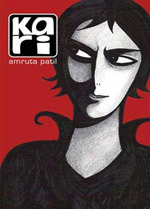 Amruta Patil’s Kari (2008) tells the story of an alienated young woman working in an ad agency in Mumbai and is about her acute loneliness, and the heartache resulting from her separation from her lesbian lover. Normally, graphic novels are formulaic because they derive from comic books. Art Spiegelman’s Maus (1986) works with the Holocaust tale and John Wagner’s A History of Violence (1997) with a sub-category in the thriller (4). But Kari is more personal and draws inspiration from a memoir (5). In effect, therefore, where generic literature is essentially formulaic, Indian ‘generic’ fiction, because it draws more from experience or personal preoccupation, is more ‘literary’ than generic. The ‘literary novel’ in India exists in several avatars, but a first novel tends to be autobiographical or ‘self-expression’ in some sense. If the writer is not recounting his/ her own experiences, s/he is giving the reader his or her thoughts or feelings in some disguised form. Writers of genre fiction would be attentive to a tradition or a formula, but these writers of ‘literary fiction’ are preoccupied with their ‘personal voices’ and indifferent to the possibility of ‘models’. It is, paradoxically, the indifference to the past of literature that makes new fiction ‘literary’. It is perhaps the same indifference which erases the distinction between writers and readers. Most listeners - at book readings - appear to have one consideration foremost in their minds and that is how or when they themselves might be writers. Since their novels are ‘personal’, most first-time ‘literary’ writers apparently feel that their ‘persons’ will be of interest to the general reader. The purpose of this editorial is not to lament over the ‘noise’ created by new writing - which could overwhelm literature as we once understood it. It is, rather, to speculate on why Anglophone Indians wish to produce ‘literature’, especially when they are indifferent to what literature has traditionally been and done. The attraction to become a novelist in the English language is a difficult thing to understand because the financial stakes are paltry. Many young writers (some of them are personally well off) fly across India from city to city for book readings and ‘panel discussions’ when the copies they might sell of their novels are apparently not enough to take care of their travel expenses. Writing a novel is not an easy matter - it may take years, even, of hard work. The labor is so immense, but the rewards so small and the general eagerness of people to write so great that the novel in English is worthy of sociological speculation even. 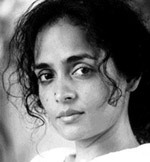 Arundhati Roy Things won the Booker Prize in 1997. Salman Rushdie had not made as much of an impact in India with Midnight’s Children (1981) perhaps because he was perceived as English. Roy, in contrast, had been born in India and was Indian. She wrote an unorthodox prose that was, all the same, accepted in the West. Roy’s novel changed Indian fiction in English but it is simplistic to suggest that she could have single-handedly brought literary self-esteem to the Anglophone Indian writer; we must search for other reasons as well. One factor may have been India being brought into focus as an ‘English-speaking nation’ through the IT industry, which began to make its presence felt internationally around the same time. It is the IT industry that lobbies hardest for English medium education. If a single factor may be credited with changing the face of the Indian economy from the 1990s onwards, it is the English-speaking workforce that is also conspicuous internationally. It is therefore plausible that the initial emergence of Indian writing as a marketable commodity in the English-speaking world was associated with India’s emergence in the world economy through the IT industry, primarily because of India’s being an English-speaking nation. The second factor to be considered is the boom in the English media in India from the mid-nineties onwards. The huge English speaking work force that emerged in this period - with some of it enjoying international salaries - also meant that the Anglophone Indian had the most spending power. This meant a substantial increase in English language advertising – especially in television. Not to be left behind, the print media followed suit and inventions like ‘Page 3’ are essentially ways of catching the Anglophone Indian wanting to be perceived as a ‘celebrity’ (6). The media also hit upon the strategy of blurring the distinction between ‘news’ and ‘advertisement’. Public relations agencies can now arrange for the dissemination of ‘news’ in the media. If one looks at the English news channels today the news often appears only on the ticker at the bottom while what one sees are advertisements. If the result of all this is the English language media in India gradually transforming itself into an agent of publicity, the distinction between ‘publicity’ and ‘opinion’ has also been made wafer thin. Celebrities (often created by the media) are asked to pronounce on matters in which they have little expertise. One has only to consider if a visiting US Secretary of State would have shared a platform with a film star even a decade ago. Hillary Clinton shared a platform on education with Aamir Khan apparently because the star had just made a film about teaching a disadvantaged child (Taare Zameen Par which he also produced and directed). The fact that English is the language of opinion will not be lost upon the Anglophone Indian. The general sense to be got from the most glamorous TV hosts speaking English, opinion being articulated in the language, the spectacle of the powerful being deferential to television personalities - and people who do not speak English fluently being deliberately turned into figures of fun - is perhaps that the English language is associated with a person’s consequence. Since India’s economic/ political significance in the world is also associated with the language there is perhaps a need for a person to be ‘registered’ as a user of English for him or her to be noteworthy in a country in which many a citizen’s existence is not even recorded. Blogging is apparently the first option available to Anglophone Indians to register themselves as users of the English language. But the ease with which blogs can be created means there is a need for something more exclusive. Having one’s thoughts or the events from one’s life appearing in print is more gratifying and it may be responsible for the eagerness of Anglophone Indians to become novelists. What they have to say is perhaps less important than the fact that it is they who are saying it. A symptom that may be taken as substantiation of the hypothesis is that while vernacular novelists frequently write under pseudonyms the Anglophone Indian novelist appears to insist that he or she be ‘registered’ formally in his or her actual name. A final factor to be considered is that while English is the language of privilege in India there was already an elite language – Sanskrit – in the exclusive custody of an upper caste when the English arrived. It has been suggested that the British were accommodated at the top of caste hierarchy (7) with the priestly caste as their first servants. If English also replaced Sanskrit as the language of ritual authority there would be one more reason why a novel in English would be an attractive proposition. Producing a ‘literary novel’ - i.e. formally registering one’s person as a user of English - would be a way of staking a claim to authority, somewhat as recitation of mantras in public might once have been for a Brahmin priest. Getting a novel published in English has all these connotations and it may not be a simple instance of being creative. It has been found that the there is a shift in the younger readers away from fiction in regional languages to English. If you want to send a message or convey your views to editor, please send an e-mail to join.phalanx07@gmail.com mentioning your name, location and phone number.